Laser cutting is an incredibly simple and accurate way of cutting materials. The laser cutter is programmed via a computer (Computer Aided Design or CAD) and is the simplest way of getting to a CAD drawing to a finished product. 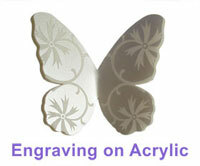 Designs can be imported in from a range of formats, we can also offer a design service. 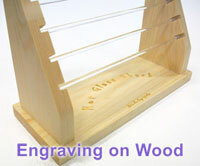 As well as cutting materials the laser cutter can also engrave the surface of materials. Our laser cutter has a cutting area of 660mm by 495mm . As well as laser cutting we can also do the CAD design work you may require. What can you laser cut? The laser cuts on a flat bed so the materials need to be in auniform sheet. The materials we can cut are: acrylic (max thickness 12mm), wood (up to 6mm), fabric, leather, paper and card. As a designer and maker we have a good eye for design. Lizzytish can offer the ideal service to artists, designers, students and small businesses. 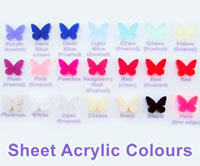 Please contact Lizzytish with your requirements.